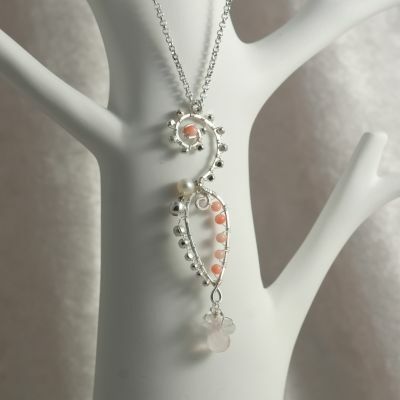 Rose Quartz, Rainbow Moonstone, Rose Coral, Fresh Water Pearls, Sterling Silver Wire and Beads. Length of pendant is 6.5 cm (2.5 inches), and the total length of chain is 40 cm (16 inches). This beautiful necklace matches these earrings.